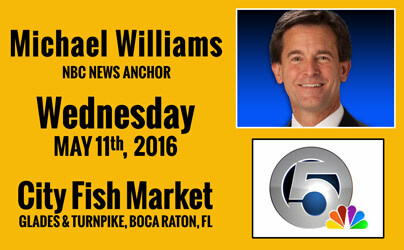 Before joining the NewsChannel 5 team in March, 2011, Michael was the political reporter at WFOR in Miami. There, he covered both the 2008 and 2010 political campaigns, scoring one-on-one interviews with Barack Obama, John McCain and Charlie Crist, among others. He also produced two half-hour specials, “Dreams of the Galapagos” and “Dreams of the American West”, which were aimed at encouraging people to become more engaged in preserving our natural heritage. From 2002-2004, Michael was a Washington, D.C.-based national correspondent for NBC NewsChannel where he covered the build-up to the war in Iraq as well as the Columbia space shuttle tragedy. His beat also included Capitol Hill and the White House. From 1984-2006, Michael covered just about every major story to hit the Miami area while working for WTVJ (NBC), and before that, WSVN (the Fox affiliate). This included the fall of Eastern Airlines, the visit to Miami of Pope John Paul II, Hurricane Andrew, the custody battle over Elian Gonzalez and the 2000 Florida presidential election controversy. Michael has overseas credentials as well having reported from South Africa, Panama, Colombia, Haiti and Cuba. He is an eight-time Emmy award winner as well as a recipient of the prestigious duPont-Columbia Award for reporting he did in Haiti. In addition, Michael has been honored with the Silver Circle award from the Suncoast Chapter of NATAS (the Emmy organization) for more than 25 years of outstanding work in South Florida broadcasting. Michael began his TV career up the road in Ft. Pierce at WTVX. This is not his first time working for Scripps, as he spent two years as a reporter for our Cincinnati station, WCPO. Michael is University of Florida graduate. He is married with three daughters. His Twitter Handle is @MWilliamsWPTV5. WPTV’s Twitter Handle is @WPTV.